← May Post 4 – She is Tall, She is Old, She is Awesome! The Proteaceae plant family includes both trees and shrubs and has over 100 species. 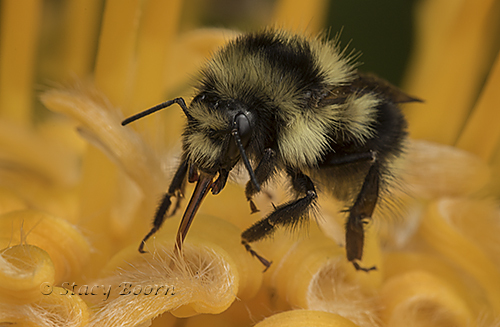 Since the plants in the genus do not self pollinate, they depend on rodents, birds, and insects for pollination. Exceptions to this are just ten wind-pollinated proteas in southern Africa. 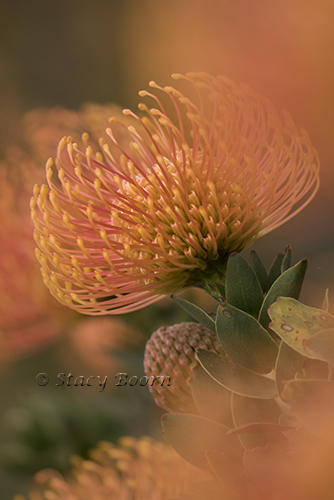 Proteas have a broad assortment of blossom shapes and colors, although most of them look like explosive fireworks. 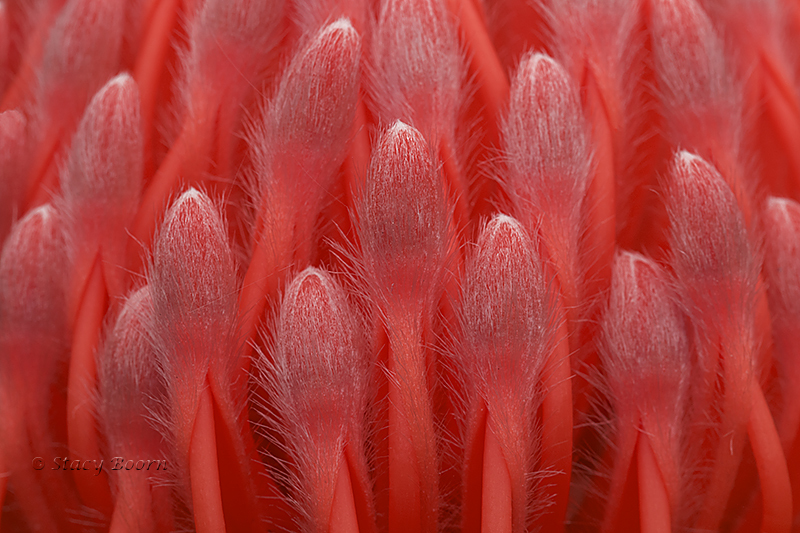 The seeds produced by the Pincushion Protea are gathered up by ants and buried in the soil. Only after a fire has killed the plants that grow above them and returned their nutrients to the soil do the seeds germinate to produce more of these spectacular blooms. The majority of proteas flower in spring and summer, with a few species flowering in autumn. Mary Magdalena had the last of her intense visions of Jesus 40 days after her first vision of Jesus at the tomb where his body was laid. In that vision Mary was speaking with Jesus the same way they did day by day as they walked through Judea and Galilee to heal the sick and give hope and empowerment to the marginalized. So Mary and the other companions of Jesus waited in Jerusalem. On the feast of Pentecost, they were all gathered together in an upper room. Suddenly RUACH, a great wind, blew among them and she hovered over each of them as a tongue-shaped flame. Also, their own tongues were set on fire, dancing and speaking spirit. 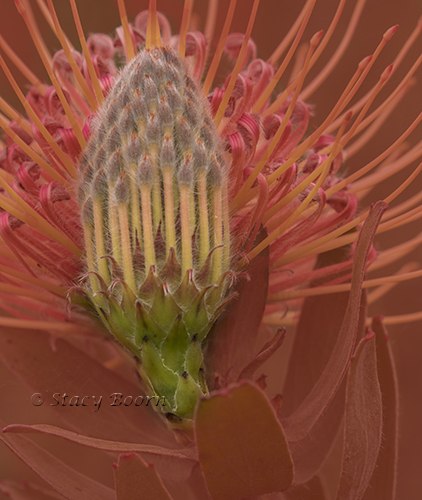 This entry was posted in Weekly 2 and tagged joy, Mary Magdelene, Pentecost, Pincushion Protea, Protea, spirit, Stacy Boorn. Bookmark the permalink.